Invisalign offers a fresh perspective on orthodontic treatment. If you’re looking for a brace that is virtually impossible to spot when you smile, this could be the solution you’ve been searching for. With Invisalign, you can enjoy a stunning smile without anyone knowing that you’ve got a brace. I was very self-conscious. I had noticed my front teeth crossing over and I no longer liked having my photo taken. I can’t stop smiling! My teeth look amazing, I can’t quite believe it is my smile. The experience was incredible. I have felt very supported and prepared for each part of the process. I was much less self-conscious than I thought I would be. The brackets were great as they were so discreet. The whole team have felt like a family during the process. Everyone has been so supportive and excited for me and this has made the whole process such a pleasure. I am blown away by the result and am so appreciative of all the support from everyone at Roseneath. I didn’t like to smile showing my teeth, I felt very self-conscious about my smile. I absolutely love my teeth and smile! I always smile showing my teeth now. The experience was great, every step was explained to me and I always felt happy and reassured. My dentist is amazing. Bhavna is lovely, and makes you feel so reassured and comfortable. Bhavna is so gentle and great with all ages. I would always recommend Bhavna and Roseneath Dental Surgery. All the staff are kind and patient and always make you feel welcome and comfortable. I was very self-conscious, I hated having photos taken especially from the side. The treatment was incredible, I couldn’t be happier, especially as it’s all done for my wedding. The experience was excellent, Bhavna was amazing and made the whole process easier For the first few weeks I was very self-conscious but I soon got used to it. With the treatment, I am very happy, all the staff have been lovely. Thank you so much to Bhavna for effectively changing my life. Anthony originally attended for a second opinion regarding his crowded front teeth. He had never had any orthodontic treatment in the past and reported that his crowded front teeth had always bothered him. He was currently whitening them and was weeks away from having his upper anterior teeth prepared for veneers to make them look straighter. 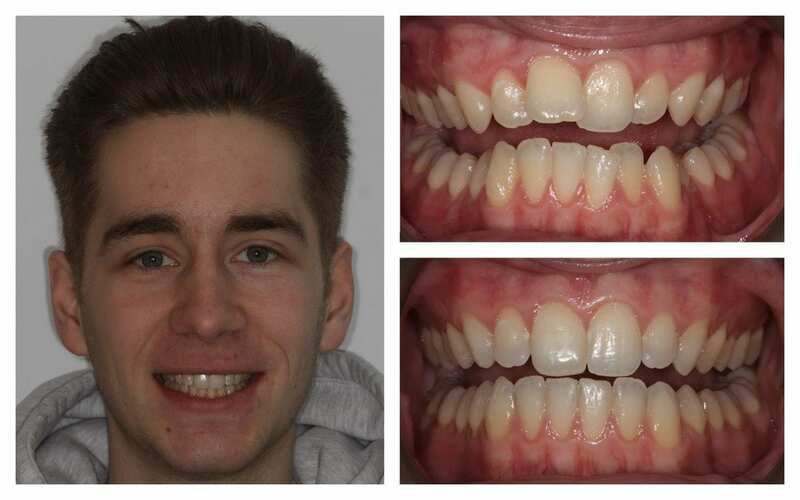 We ended up placing upper and lower fixed ClearSmile braces, to straighten his teeth. 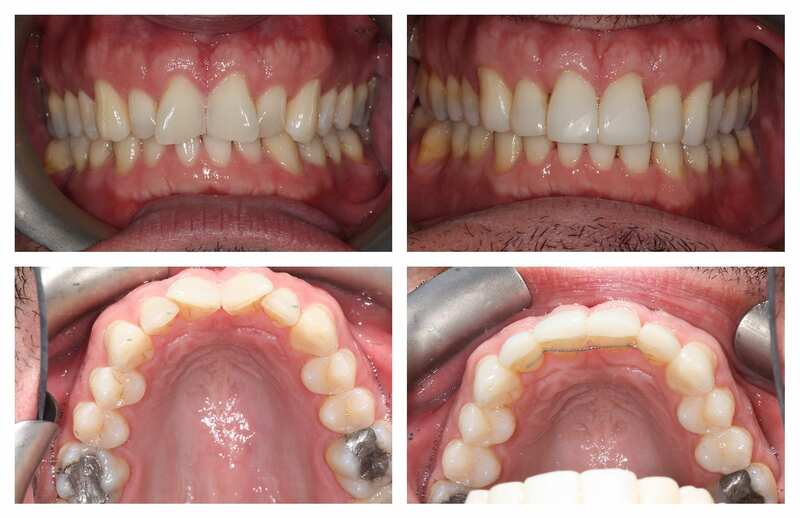 Then whitened them followed by composite edge bonding of his upper and lower incisors. Anthony is really pleased with what we achieved, especially as we did not have to cut into his teeth. He feels he can smile much more confidently now, and has had a lot of positive comments about his smile and straight teeth. How did you feel about your smile before having treatment? I wasn’t happy, not comfortable smiling due to different size and shapes of teeth, particularly my shark tooth!! How do you feel about your new smile today? How has/will your life change? I love it!! I couldn’t imagine at the start how much having the braces and build-ups could change my smile but they really have. All the compliments I recieved post-treatment have really boosted my confidence. How would you describe your overall experience with us? I was nervous when the process started as I was in my 20s when I had my braces fitted. I was provided with so much reassurance through the process so this soon disappeared and I began to look forward to my regular check ups. How would you rate your dentist and would you recommend her to friends and family? What would you advise someone that is considering treatment with us but is unsure if they should go with us or somebody else? I couldn’t recommend Roseneath more. The dentists, dental nurses and receptionists are all so friendly and welcoming, you feel more like a friend than a patient. Do you have any other comments you would like to share? Thanks for curing my fear!! Emily was planning her wedding day when she came to see me and wanted her smile to be perfect for her big day. She did not like her chipped upper front tooth and he crowding of her lower front teeth. 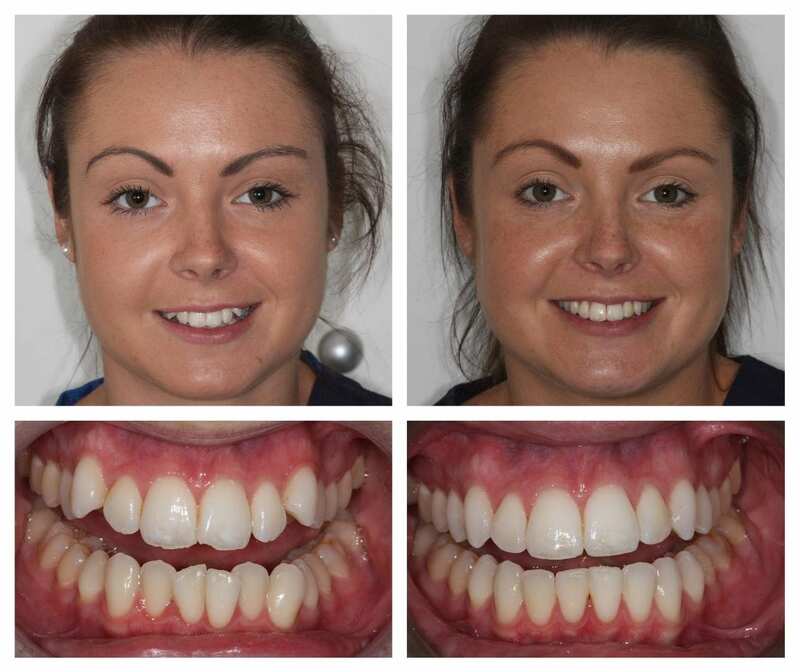 Emily’s lower front teeth were straightened and levelled using a removable Inman Aligner. 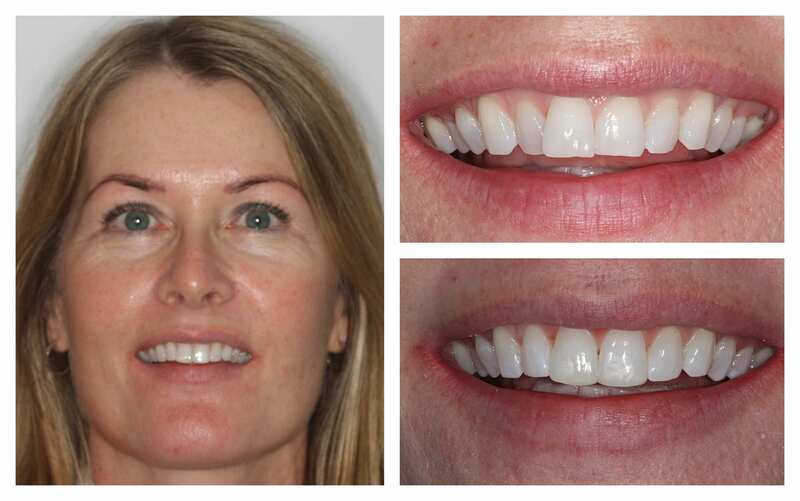 She then had some whitening treatment, followed by the building up of the chipped upper central incisor and edge bonding of upper lateral incisors to create a straighter fuller smile. Emily was delighted with her new smile which she felt added to the perfection of her wedding day. Natalie had comprehensive orthodontic treatment as a teenager. Over the years, due to poor retention, she has noticed that her front teeth were starting to stick out and bunch up again. She felt very self-conscious about her teeth especially when she smiled. Natalie’s teeth were straightened using upper and lower fixed ClearSmile braces in less then 6 months. Natalie is thrilled with her straight teeth; talking and smiling much more confidently now. Monil was becoming increasingly aware and self-conscious by the progressive crowding of his upper and lower teeth. He had comprehensive orthodontic treatment a few years previously but retention had not been stressed and hence the relapse. He was also finding that it was becoming increasingly difficult to clean his teeth, especially his lower front teeth. 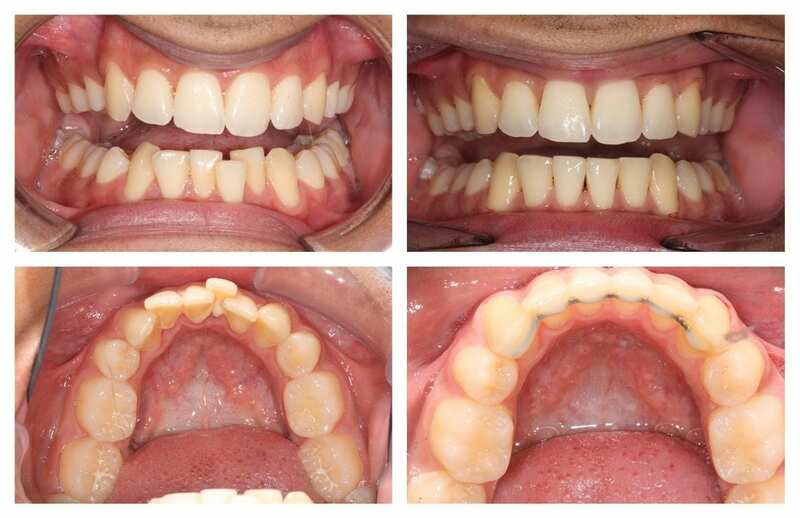 Monil had upper and lower fixed ClearSmile braces to straighetn his teeth, and the overall treatment time was just under 6 months. Monil is really happy with his straight teeth. He feels he is able to clean them better and is also smiling much more confidently. I was not very happy with my smile or the look of my teeth. I stopped smiling in photographs. I am really delighted with my smile and teeth now. I can’t believe how good they look. 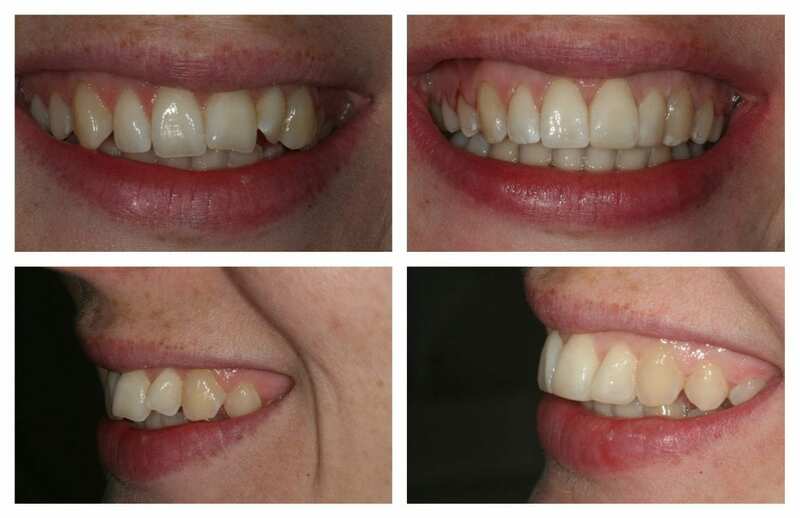 The Inman Aligner was an easy painless process which seemed to happen very quickly and ended up with fantastic results. I was a little conscious about my speech more than my appearance but feel it was so worth it in the end. Bhavna, Stef and Andrea have been so kind, caring and welcoming every time I visit Roseneath. Bhavna is such a clever, patient and exceptional dental surgeon. I would recommend her to anyone wanting a new smile. Thank you. Thank you for your email and the photographs of my progression through treatment, what a transformation! I really am completely overwhelmed with what you’ve achieved. The results are spectacular and a testament to your knowledge, skill, professionalism and expertise. I’m unsure if you know but I did seek orthodontic advice some years ago. I had always been unhappy with the appearance of my teeth and was referred for advice on treatment options. At that time I was presented with a plan that included removing a number of healthy teeth along with surgery to extend my lower jaw…..ouch!! You are clearly focused on achieving the best possible results with a conservative approach and the minimum disruption to normal daily activities. This approach has worked especially well for me, as I’ve been able to maintain my normal working and social life during the course of my treatment. As a slightly ‘older’ patient for this type of procedure and coupled with the amount of re-alignment required I recognise I presented quite a challenge. However, you’re informative approach along with patience and support throughout the treatment has resulted in the best possible outcome and a wonderful smile! My wife Jane is also delighted with the treatment she has received and I believe my sister is also on her way to see you shortly, you are highly recommended! I look forward to seeing you during my regular check-ups. Richard felt he was becoming increasingly self-conscious of his upper front tooth sticking out. He had also noticed his lower teeth were becoming more crowded. 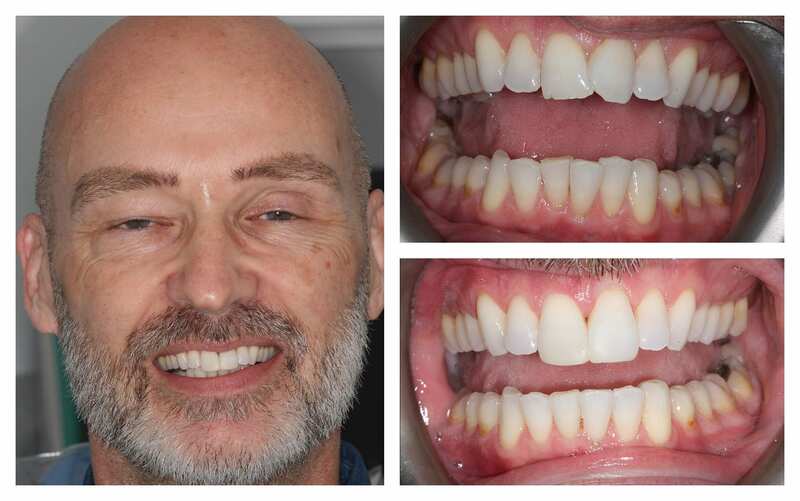 Richard had upper and lower ClearSmile fixed braces to straighten his teeth. 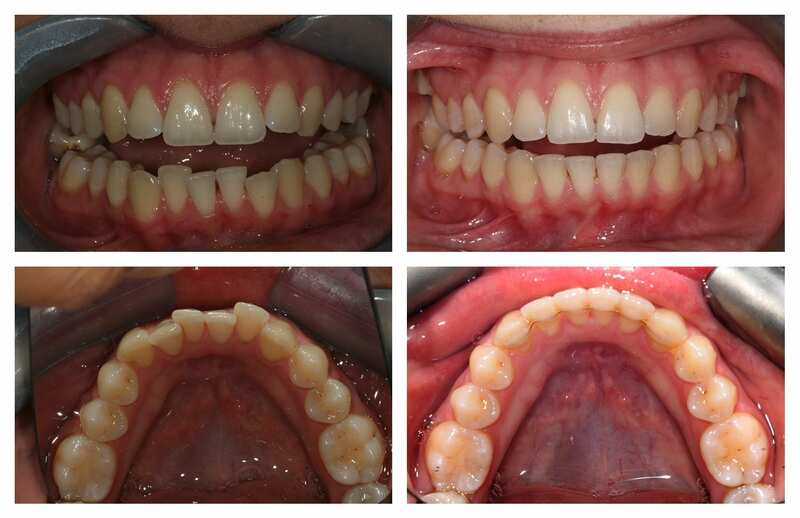 Afetr the braces were removed he had edge bonding to his front tooth to even out the worn incisal edge. Richard is really pleased he had the braces to straighten his teeth. He feels he is not self-concsious of his front tooth and is smiling much more now. Bhavna has done an amazing job on my teeth! They are very natural and beautiful; I can’t believe the difference. It has really changed my life, giving me confidence to smile and go for things in the future! Thank you so much for all your hard work on my teeth! You have made my teeth look so natural and beautiful – I love them! Invisalign has been a huge hit in the world of orthodontics, and we’re delighted to be able to offer this amazing system right here in Surrey. Invisalign is a removable brace system, which works by gently repositioning the teeth using a series of bespoke aligners. These aligners are made from transparent plastic, and they sit over the teeth to produce incredibly discreet aesthetics. 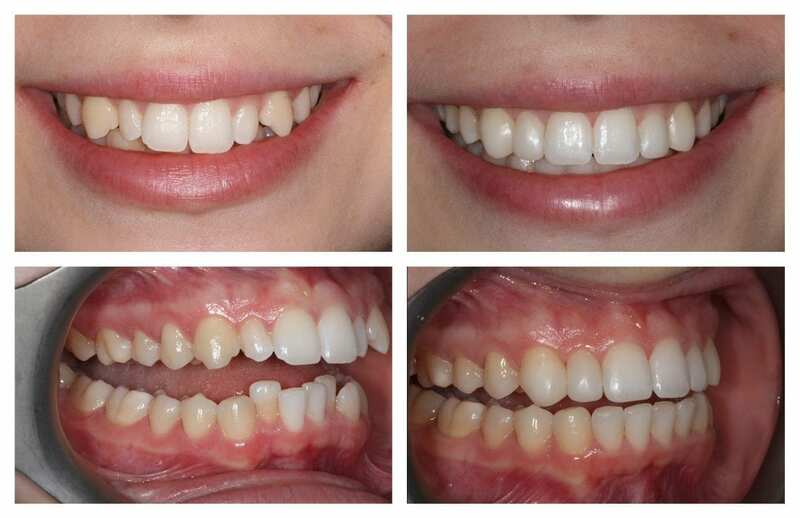 The treatment process for Invisalign is a little different to conventional orthodontic braces. With Invisalign, you receive a set of custom-designed clear aligners, which are worn in sequence. Invisalign treatment is planned in advance, and every aligner is slightly different. The varied shapes of the braces allow for movement. 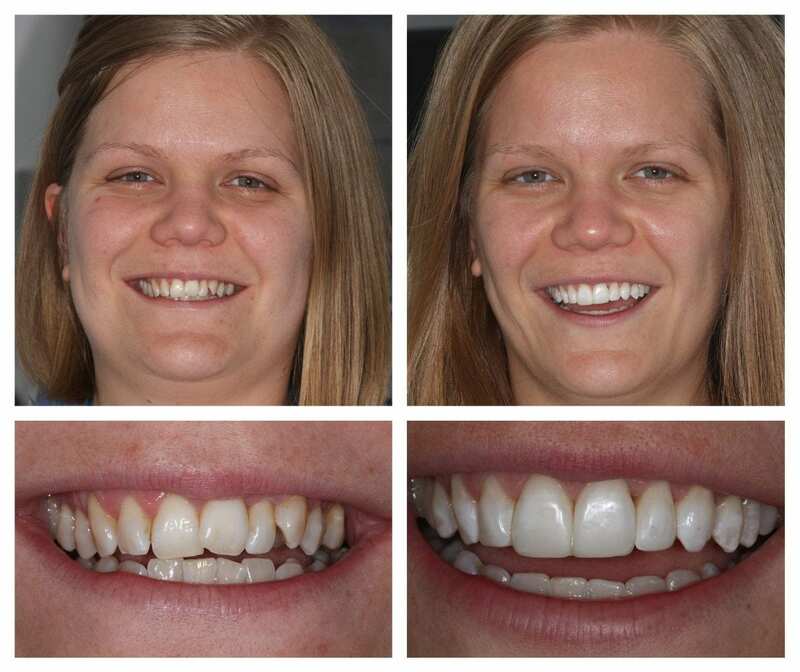 Each aligner should be worn for 2 weeks and then swapped for the next brace in the sequence. 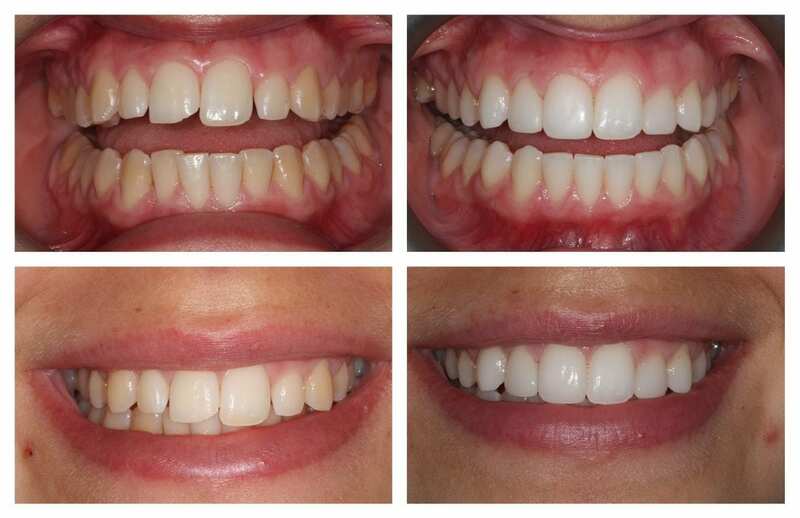 It’s very common for patients to come to us expressing a desire for discreet braces. If you don’t want to wear a visible brace, and you’re keen to feel more confident when you talk to people or you smile, Invisalign is a really appealing option. When you wear Invisalign braces, it’s virtually impossible to spot the aligners, so you don’t have to worry about your image or what other people think. Comfort: there are no metal parts or bands that need tightening, so you should find your aligners perfectly comfortable. Convenience: Invisalign aligners will slot into your normal daily routine seamlessly, as they are designed to be removed when you clear your teeth, eat and drink. You don’t have to worry about brushing more frequently to remove food that has become lodged in your braces or change your diet. Versatility: Invisalign is suitable for patients with a range of minor and moderate orthodontic issues. Treatment times for Invisalign vary according to how much movement each individual patient needs. In minor cases, treatment can be completed within 6-9 months, but in more complex cases, the timeframe can increase to 12-24 months. Once you’ve had your consultation, our dentist will be able to give you a more accurate prediction of how long you’ll have to wear your braces. If you’re searching for a discreet brace, which will fit into your daily life without making too much of a splash, Invisalign could be an excellent option for you. This system is suitable for many patients with orthodontic issues, and our friendly dentists will be able to advise you whether you’re a suitable candidate for treatment after your consultation. To find out more and arrange a consultation, call us today! I wasn’t sure if its the right surgery until I went for a consultation. Gavin agreed to book me in for a RCT the same day in a very short notice knowing that I was in pain. Infact I did see that when I was there he was really busy and he even skipped his lunch to do the RCT. The service was excellent and the follow up is amazing. Super friendly. I highly recommend it. Thanks Roseneath.